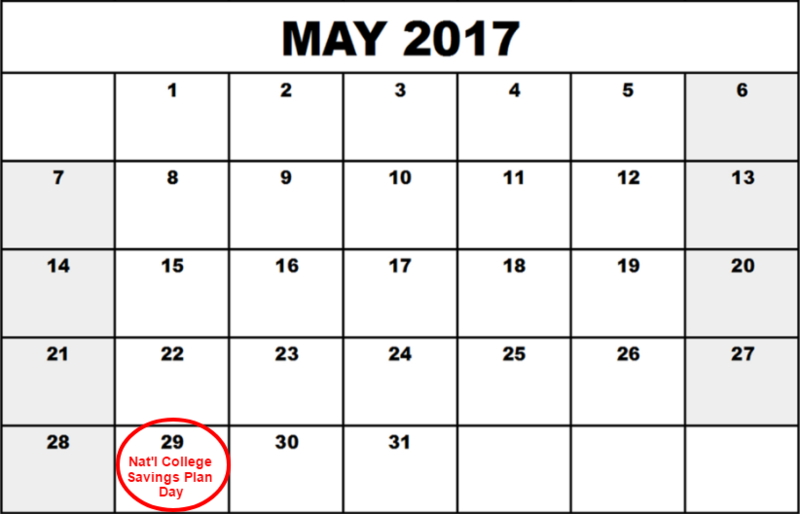 May 29 is National 529 College Savings Plan Day. (5/29 is 529 Day - get it?) If you have children or grandchildren, you probably know that 529 plans are designed for college savings. But what makes these plans so special? The growth in the plan is tax-free, and withdrawals are tax-free if they are used for higher education. Since saving for college is such a massive goal these days, the tax-free growth in these plans can be a substantial benefit for families. Start them early. The power of a 529 plan is in the tax-free growth. The longer your money can grow tax-free, the more benefit you receive. If your child is going to college in two years, you won’t have much time for your growth to accumulate tax-free. In that case, it might make more sense to use a basic investment account so you are not restricted to use the funds just for education. Consider investing in them if you make a lot of money. The more money you make, the more you pay in taxes. The good news is that there is no income limit for 529 plan contributions. For higher income earners, tax-free growth can be an even bigger benefit than it is for lower income earners. Understand what qualifies for a tax-free withdrawal. The funds must be used for a qualified higher education expense for the withdrawal to be tax-free. Not only can withdrawals be used for tuition, fees, books, room and board, but also computer technology and off-campus housing (up to some limitations). Know how your state influences the 529 plan you choose. Some states will offer tax incentives on 529 plans, such as a state tax deduction or credit, so it might be an even bigger benefit to use your own state’s plan. In places like my home state of Texas, we don’t have state income tax, nor do we have state deductions or credits for 529 plans. Therefore, our state plan doesn’t provide a greater benefit than another state’s plan. Treat a 529 plan like any other investment. Figure out how big your goal is, stay dedicated to accumulating money towards the goal, and consider moving to a more conservative fund selection as you get closer to the time that you need to use the funds. A 529 plan beneficiary can be changed to another family member, including a sibling, cousin, or yourself. Your principal (the amount you invested) is not taxable. The earnings are the only part of the withdrawal subject to income tax and penalties. Penalties are waived for scholarship withdrawals. That means that if your child gets a full ride (or even a partial one), the equivalent amount of 529 plan assets will not be penalized for it. The income can be distributed to you or your child. We can assume that your child is in a much lower tax bracket than you are, so consider showing the earnings as a distribution to her, and avoid incurring your high tax rate on the distribution. Click here to use an easy calculator to figure out how much you will need to save for college. Click here to read the IRS Q&A on 529 Plans. Click here to find out if a certain school qualifies for 529 expenses. Investing involves risk including the potential loss of principal. No investment strategy can guarantee a profit or protect against loss. Investors should consider the investment objectives, risks, charges, and expenses associated with 529 plans before investing. More information about 529 plans is available in each issuer’s official statement, which should be read carefully before investing. For more blogs and articles on personal finance, the financial markets, and how your money can help you create the life you want, sign up for our blog by sending an email with the word “Subscribe” here: [email protected].